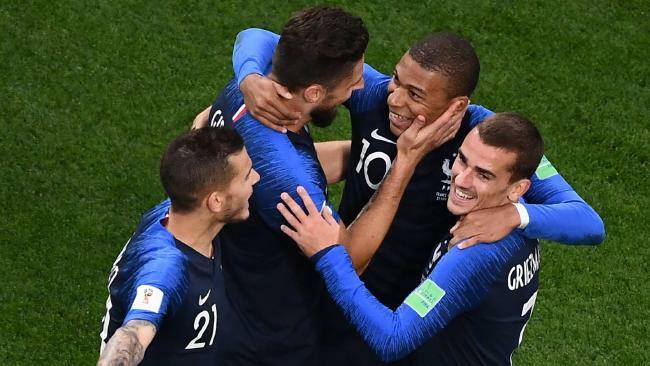 France's forward Kylian Mbappe (2nd R) celebrates his goal with teammates during the Russia 2018 World Cup match between France and Peru. TO have any chance of making it through the group stage Australia will need to beat a team which already knows its going home but that may not make the Socceroos task any easier. Peru coach Ricardo Gareca has already promised his team will go all out to take one win home after losing both games they have played at the World Cup so far. "We have one game left (against Australia) that we should take it out and finish in the best way,'' Gareca said after watching his team lose 1-0 to France in Ekaterinburg. However, in better news for the Socceroos, French star N'Golo Kante said his team, which has already qualified for the second round, would be aiming to beat Denmark when the two teams meet next week to ensure they finish top of the group. France's forward Olivier Giroud (front) and Peru's midfielder Yoshimar Yotun vie for the ball. Australia needs to beat Peru and for France to beat Denmark to qualify for the second round. But Peru coach Gareca said his team wanted to reward the team's fans who have travelled in enormous numbers to Russia to watch Peru play in its first World Cup finals since 1982. The Peru fans have won many friends in Russia with their passion and they incredible noise they make supporting their team. But so far they have not even seen their team score a goal, nevermind win a game, after being knocked out of the World Cup after consecutive 1-0 losses to Denmark and France. 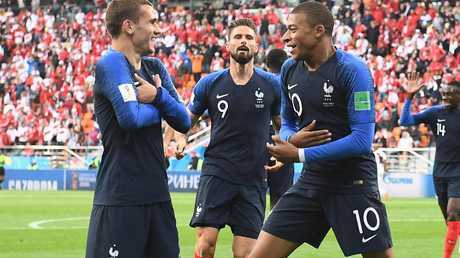 Kylian Mbappe scores to put France through to the quarters. "We thank the people, we could not reward them for that effort, but we will try to do the impossible to win the last game and shout a goal and a victory, '' Gareca said. However, ominously for Australia, Peru has not played badly in either game. 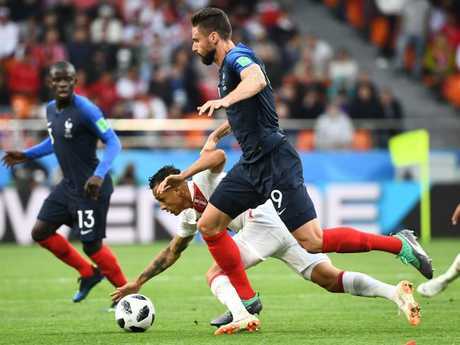 They could have beaten the Danes, a missed penalty could have put them in the lead, and for long periods of the second half against the French they held the upper hand and a point would not have been unjust. Despite failing find the back of the net in either game, Peru are a dangerous team. It likes to play quick, attacking football. Often inventive and dizzying to watch. It's flying midfielder Andre Carillo has pace to frighten any defence. The overlapping full back Luis Advincula is a permanent threat going forward with a penchant for long-range shooting. 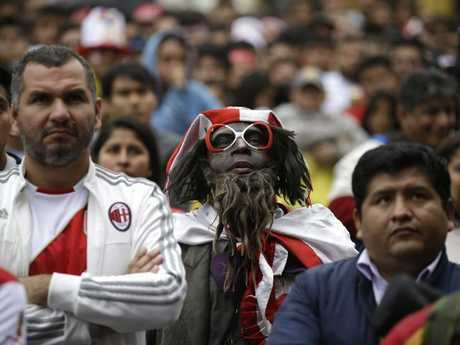 Peruvian fans look downcast as they watch the match. Christian Cueva, who missed the penalty against Denmark, is a silky playmaker from the left hand side. Captain Paolo Guerrero had to overturn a drugs ban to play in the World Cup and is the team's inspiration. Yet, as France showed for the 20-minute period when it felt like playing to its full potential, it has weaknesses that Australia can exploit. French striker Oliver Giroud physically dominated his opponents and was at the heart of much of his team's good play. 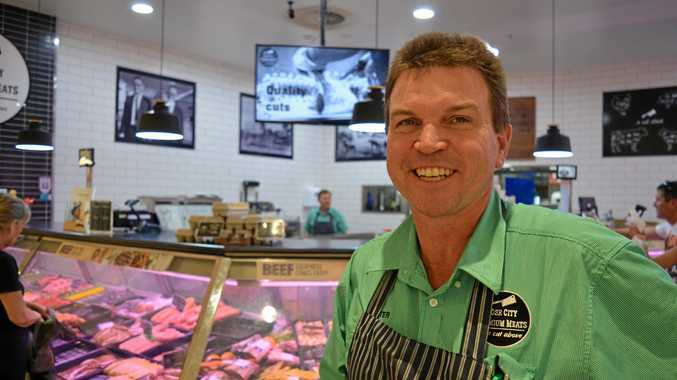 Set pieces could prove fruitful for Australia. Peru are not a big team. It's tallest outfield player is its captain at 185cm. 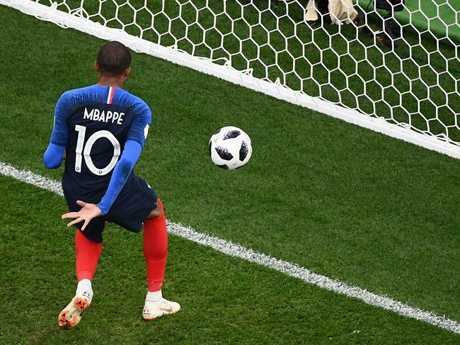 And while Peru will have the edge on Australia when it comes to technical ability, France showed that when you get in the face and deny them time and space they are liable to turn the ball over.